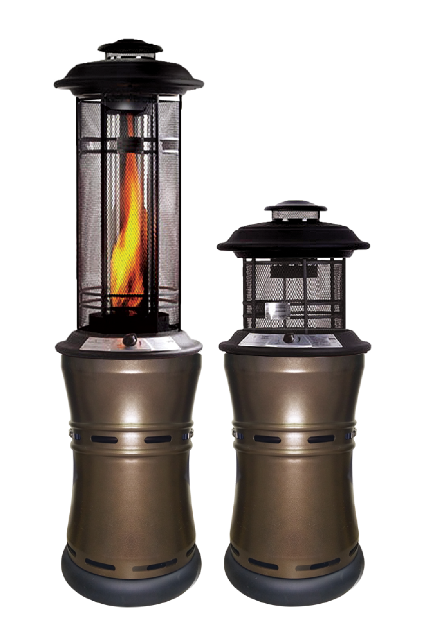 Outdoor Flame Heater patio or terrace. A spiraling flame offers a stunning 360 degree visual effect while radiating comfortable heat to a space up to 20 x 20 ft. Two automatic shut off safety features: tilt switch, and in case of flame failure. Integrated wheel system for easy mobility. Automatic lighting. CSA certified. Optional protective cover part nr 320-330.
consumption : N/A dimensions : 20.5 x 71 in.